The release of Disney’s new animated movie Big Hero 6 is right around the corner, and we can’t wait to meet Baymax! Baymax is the inflatable robot who stars in Big Hero 6. He was built to be a Personal Healthcare Companion, but ends up being so much more. 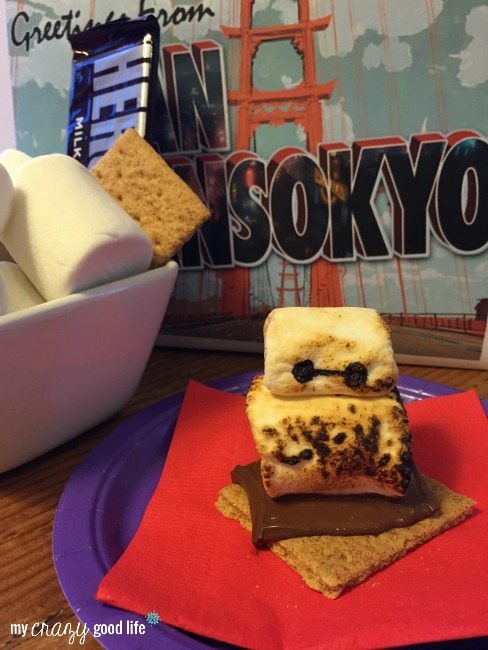 We are so excited about the movie that I decided it was time for some Baymax S’mores! 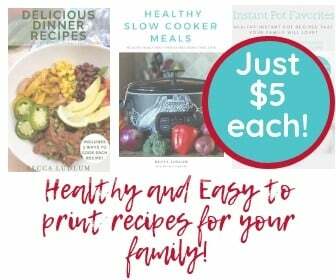 They’re yummy and super easy to make with some parental help. 1. Place a graham cracker and piece of chocolate on a plate and microwave for 10-15 seconds. 2. Grab one jumbo and one regular marshmallow, place them sideways (with the circles on the sides), then cut off a small amount of the bottom. This allows the marshmallows to stick to what’s under it so they don’t fall over. 3. 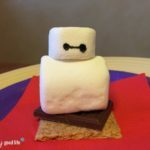 Draw Baymax’s eyes on your large marshmallow. 4. Place the marshmallows on the chocolate and graham cracker base. Looking for more Big Hero 6 fun? Here are some Big Hero 6 printables for you! Image from Big Hero 6 provided by Walt Disney Studios Motion Pictures. I’ll be attending press events with Disney and ABC TV in November during the Big Hero 6 red carpet premiere, though this post is not required in exchange. I love love s’mores and wanted to share this fun recipe with you. As always, opinions and experiences are my own. Click here to see my other posts about Big Hero 6! 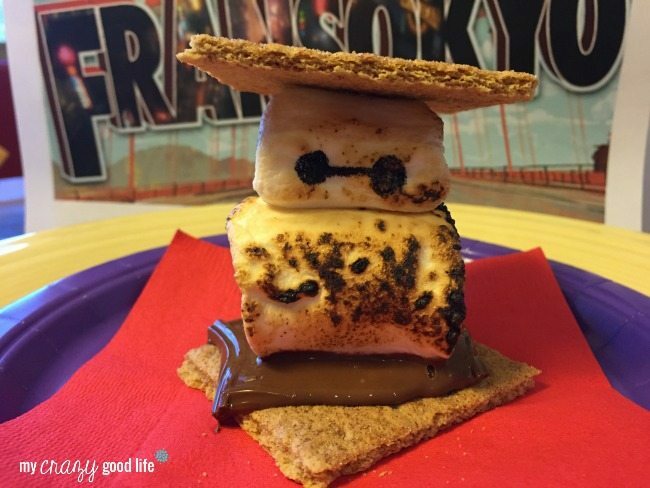 Get excited about the release of Big Hero 6 with these fun Baymax S'mores! They're easy to make with some parental help. Place a graham cracker and piece of chocolate on a plate and microwave for 10-15 seconds. Grab one jumbo and one regular marshmallow, place them sideways (with the circles on the sides), then cut off a small amount of the bottom. This allows the marshmallows to stick to what's under it so they don't fall over. 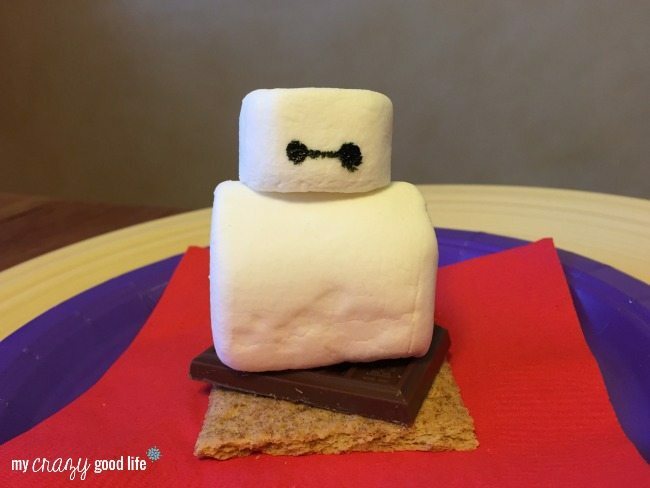 Draw Baymax's eyes on your large marshmallow. Place the marshmallows on the chocolate and graham cracker base. Previous Post: « Disco Ball Cake Pops for a #DWTS Party! 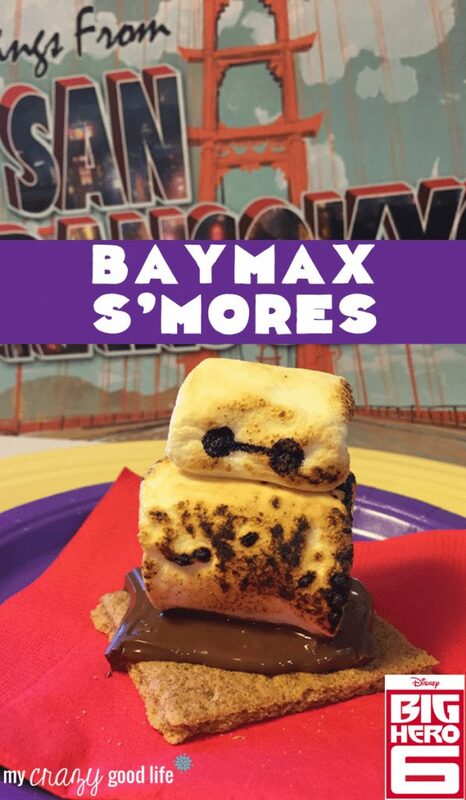 I am loving these Baymax s’mores they are so cute! I think they would be so fun to make!